In a bid to save £156 million over three years, Liverpool City Council have announced their plans to close RBST Approved Conservation Farm Park, Croxteth Home Farm, saving them up to £100,000 to £200,000 per year. RBST believe this decision has been made without proper foresight or consultation to explore the huge range of alternative solutions available. 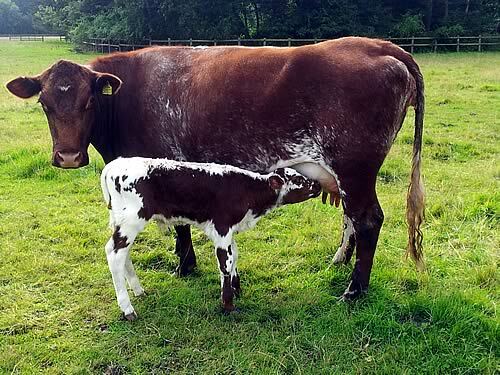 As one of RBST’s oldest Approved Conservation Farm Parks, Croxteth provides essential support to some of the UK’s rarest native breeds of farm animals. The excellent care and breeding programmes implemented by Farm Manager Lisa Gunn and her team have given Croxteth a highly praised track record of genetic conservation. The farm is currently home to over 200 native breed animals including one of the UK’s most genetically important herds of Irish Moiled cattle and a flock of Boreray sheep. The Irish Moiled cattle is listed in Category 4 “At Risk” on RBST’s Watchlist, meaning there are less than 750 breeding females of this breed remaining in the UK today. The herd at Croxteth represents a group of animals with a long history. Early pioneering work in the 1980s between RBST, Dr Ian Gill from the University of Liverpool and Croxteth Farm included embryo transfer and specific breeding programmes that were instrumental to the survival of the entire breed. The farm is also home to a flock of Boreray sheep; the rarest breed of sheep in the UK. It is listed in Category 1 ‘Critical’, meaning there are less than 300 breeding females in the UK (there is a feral population on Boreray). Like the herd of Irish Moiled cattle, this flock has a significant history; in 1971 a small group of Boreray sheep were removed from Boreray for a fleece-casting study and the flock at Croxteth are traceable offspring of that group. Other breeding programmes include Shetland, White Park and Gloucester Cattle, Boreray, Manx Loaghtan and Portland sheep, Tamworth, Saddleback and Large Black pigs. All of these breeds are at risk from extinction and active breeding programmes at establishments like Croxteth are vital to their survival. However, the animals at Croxteth are not only a valuable genetic resource, in many ways, they are a reflection of human developments and accomplishments across centuries and allow a range of people to experience a working farm and learn about the UK’s rich agricultural history. Croxteth Farm has overwhelming support of local residents, but also of farmers and conservationists throughout the country. A petition has been created to try and save the park from closure.